Unfortunately, even though the track was covered, we're unable to get the pulls in today. The tarp is 200 feet so we have to piece it together, plus some holes have developed over time causing the possibility of little areas allowing water in. The 2 inches of rain we got overnight definitely found a way in to make some very bad wet spots. We cannot catch a break as hard as we try . We want to thank those who helped cover the track yesterday morning and those who came out early this morning to uncover and make a decision. There are two more events scheduled, Sunday, September 28 and Saturday, October 11. Friday night turned out to be a very nice night and somehow the rain went around us. That's amazing considering how we've had so many rain outs. We had a good entry count and many spectators. See the Point Standings at the right for the current standings and then the full results on to the right in blue. Click on August 1 and you'll get the full results from each class. Unfortunately, once everyone arrived and registration was getting close to closing, a huge rain storm came through and ended the day before we could even get started. All registration received will be carried forward to this Friday. Hopefully we'll have better luck. Mother nature sure hasn't been very supportive this year! Our club was established in 2010 and we are coming into our 4th season. The club has grown to over 39 members and we owe so much to our sponsors. 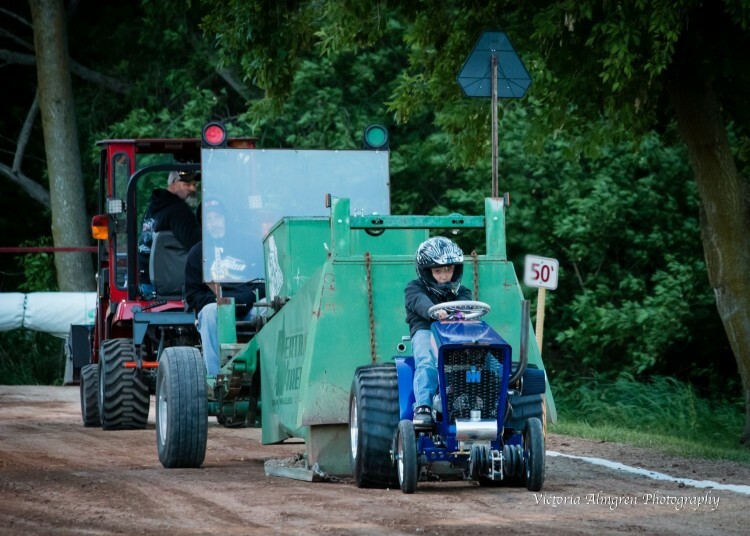 We've worked very hard to have a great facility for people to participate in and be a spectator to the pulls.​​ In 2010 we had 194 pulls throughout the season, in 2011 we had 458 and in 2012 we had 681 pulls. That is something to be very proud of. We have more safety and facility improvements planned for this season. Now we need the snow to melt and let spring begin! Sunday, May 4, 1:00 p.m.
Friday, May 23, 7:00 p.m.
Friday, June 6, 7:00 p.m.
Sunday, June 29, 1:00 p.m.
Sunday, July 27, 1:00 p.m.
Friday, August 1, 7:00 p.m.
Sunday, August 17, 1:00 p.m.
Saturday, October 11, 1:00 p.m.
​Friday, July 12, 7:00 p.m.
Friday, August 2, 7:00 p.m.
Sunday, August 18, 1:00 p.m.
Sunday, September 29, 1:00 p.m.
Friday, May 18th, 7:00 p.m.
Friday, June 8th, 7:00 p.m.
Friday, July 13th, 7:00 p.m.
Sunday, July 29th, 1:00 p.m.
Friday, August 3rd, 7:00 p.m.
​Sunday, September 23rd, 1:00 p.m.
Friday, June 19, 7:00 p.m.
Friday, July 10, 7:00 p.m.
Sunday, July 26, 12:00 p.m.
Sunday, August 16, 12:00 p.m. It's been a long wait since our last two events were rained out! 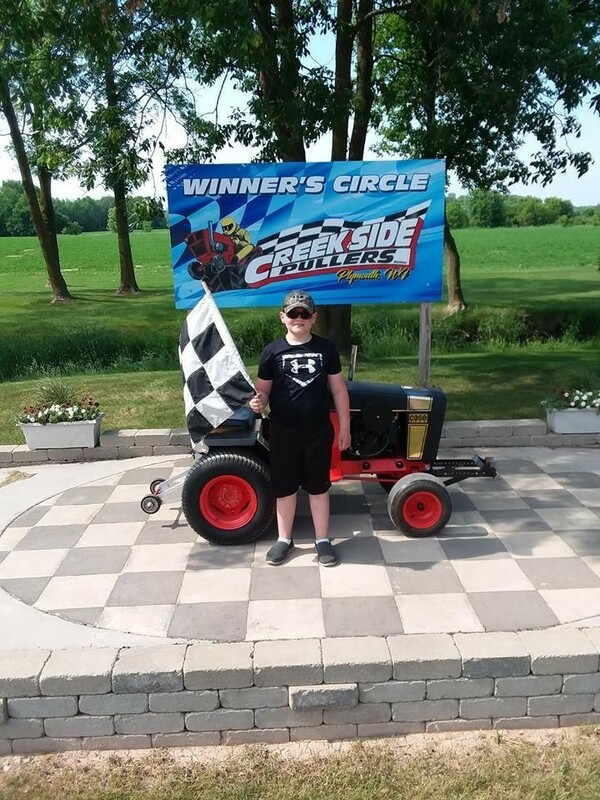 It was a beautiful Sunday afternoon to enjoy tractor pulling even though there was a Packer game and Brewer game going on. We had 56 hooks which was down from our average but it was still a great show. Thanks to all the spectators for coming out and as always special thanks to our club members and those who volunteer to make each event a huge success. The end of the season is quickly approaching. Our last pull is Saturday, October 6th at 1:00 pm. The rain date for this event will be October 14th, if needed. 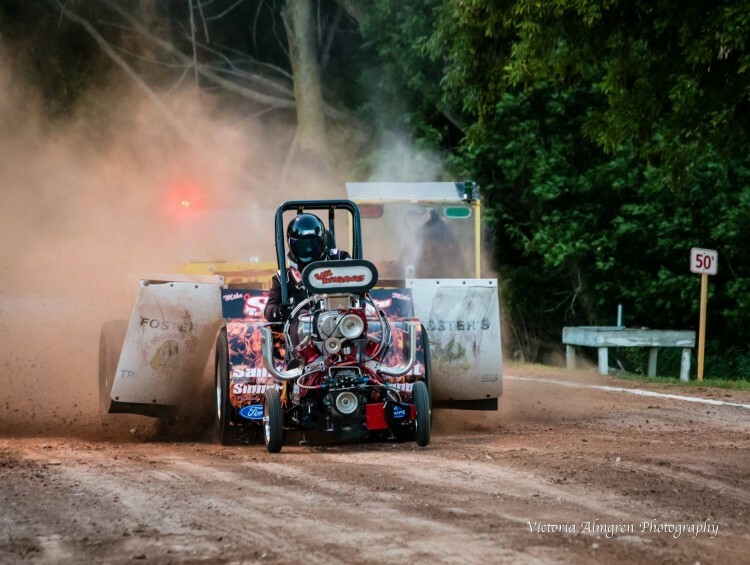 Another perfect evening for tractor pulls! With 76 hooks registered, the show moved along rather quickly even though there were some mechanical difficulties with one of the sleds. We had some new Mini Rods again and always enjoy watching the competition heat up in our Hometown and Stock classes. Special thanks to all the club members and volunteers again for putting on a great show! It was a beautiful Sunday afternoon to sit outside and enjoy tractor pulls. We had 82 hooks with a number of out of town and even out of state participants. 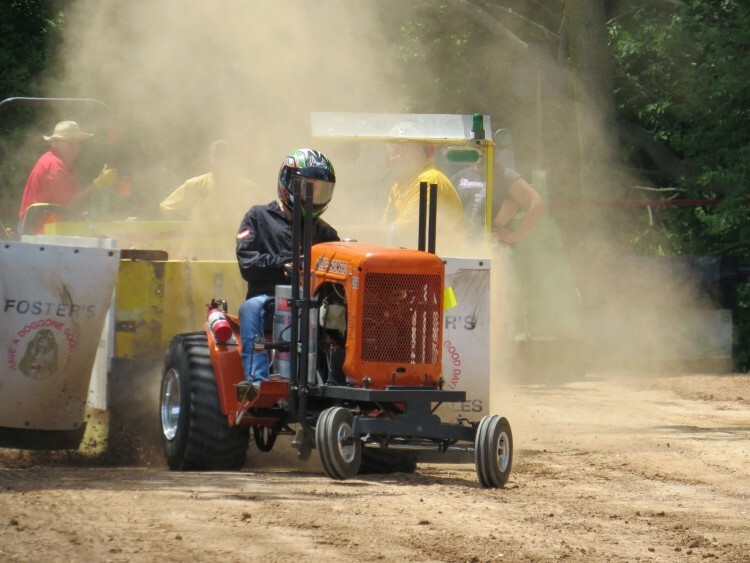 By coinciding our pull with the Random Lake Firemen's Picnic Tractor Pull, we are able to bring in a number of additional Super Mods and Mini Rods. This makes it worthwhile for them to travel and be able to participate in two days worth of pulling. The point standings are getting interesting as the year progresses​​​. Check out the results on the date of the event at the right and the point standings are at the top left. "One of the best shows yet", per the Facilities Advisor, Jim Pitzen. It was a beautiful night again and we had a record turnout for spectators. 77 hooks were registered and the show only took 2 1/2 hours, which gave everyone plenty of time to socialize afterwards. Thanks for coming out and enjoying the evening with us. We look forward to seeing you Sunday, July 29th. A beautiful afternoon was enjoyed by many as we hosted our second event of the season. The hot sun made it very interesting for competitors as the track did become a little more tough as the day went on. We had 63 hooks and the afternoon moved along pretty quickly. Thanks again everyone for coming out and enjoying the afternoon with us. We look forward to seeing you again on Friday, July 6th at 7:00 pm. We started off the season with a BANG! 80 hooks, ​50 members and 58 entries entered in the points fund! The weather was very cool (COLD) but we made it through and we appreciate all those who stuck it out, be it members and spectators! The point standings are posted on the left and the results on the date to the right. Our next event has been moved to Saturday, June 16th at 1:00 pm. See you then. Like us on facebook to stay up to date with club activity.